When it gets cold outside everyone wants to find a place that’s comfier—including rodents, bugs and other pests. And if you don’t take the proper precautions, that warm and comfy place could be your home or your HVAC system. While a mouse or two may not bother you, keep in mind that if you see one rodent, chances are there are 20 more. Also, if they get into your HVAC system they can wreak havoc. At best, their droppings will contaminate your air supply, or you’ll end up spending more money to heat your home because warm air will escape through the holes they chew. At worst, they could destroy components in your HVAC system and cause it to fail altogether. So, if you don’t want your home or HVAC system crawling with critters this winter, we advise you to pay heed to these 10 pest-proofing tips. 1. Clean out gutters and downspouts. Accumulated debris can provide a cozy habitat for insects where they will reproduce and expand pest issues exponentially. 2. Keep your home clean. Vacuum at least once a week, clean up crumbs and don’t let dirty dishes accumulate—unless you want to keep pests well fed. Clear clutter and be sure to toss old newspapers, boxes and bags. If you need motivation, remember that cockroaches love the smell of paper. 3. Seal HVAC ducts and exterior entry points. It doesn’t take much to let pests in. Do you know a mouse can sneak through a dime-sized hole? And get this – a raccoon can enter through a six-inch opening. Sealing up your HVAC system’s ducts, as well as cracks or gaps in your doors, windows or other areas of your home’s exterior will make it far more difficult for pests to make their way in. 4. Install flue and vent covers. Your HVAC system uses flues and vents to keep air circulating and fresh, and prevent carbon-monoxide poisoning, but they’re also a favorite pest nesting and entry point. Installing flue or vent covers can add a barrier to entry, but they won’t restrict air flow. 5. Install a door sweep. According to Michael F. Potter, and Extension Entomologist and University of Kentucky College of Agriculture, installing a door sweep or threshold at the base of all exterior doors can help keep pests out. Spiders and bugs can fit through a gap of just 1/16 of an inch. 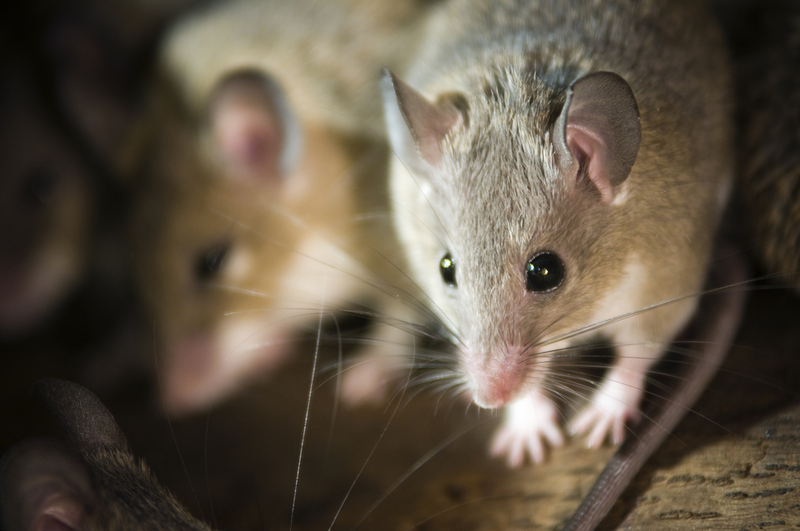 Mice can fit through a dime-size gap. Rats can fit through a gap of ½ inch. Make sure that all gutter downspouts are positioned to direct all water away from your home. Pests tend to love moisture and avoid dry places. Check for any debris resting against or near the house, including leaves, rock, mulch or compost piles, old boards or bricks. 8. Store firewood outdoors and away from the house. In fact, pest experts say it should be at least 20 feet away and five feet off the ground. 9. Store trash cans away from your home. Trash offers an easy and delicious food source to insects, rodents and other vermin. Keeping cans tightly closed at all times and stored away from your home will deter pests. 10. Clear or control plants close to your home. If you’ve planted a garden or shrubs close to your home, you’ve also created an area where pests can lay in wait for you to open the door and dart in. As mentioned above, clear any debris away from your home’s foundation. In addition, keep plants one to two feet away from your home. In addition, prune tree limbs that overhang gutters or roof lines, and trim shrubs that rub against a wall, porch or deck. If you have any concerns about pests in your HVAC system, get in touch with us. We would be happy to help. Remember, Welter Heating has more than 100 years of experience in the heating and cooling industry, so we’ve seen it all. This is a great article, thanks. Especially the point about the door sweep. Brilliant solutions to a common problem.